We are the anomalies, the ones that prompt parents to shield their children's eyes when we go out in public. People walk on the other side of the cart path when they see us coming. No matter how often we are on the blunt end of it, the piercing glare of the offended never becomes any easier to stomach. We cry ourselves to sleep at night, knowing that tomorrow will not be any better. We will feel unwelcome. We will be hated. We will offend; we will shock and we will awe. But we will play on. In fact, Augusta has now become our San Francisco, our Provincetown. And the last two Master's champs are on our side. Yes, we are the lefties. And, yes, I swing lefty. I have admitted it. I've come out. My closet is indeed vacant. Put your children to bed. We are the queer, the repulsive. We putt from the rough. Reader's discretion is advised. A lefty is writing here. It's not for the faint of heart. Being left-handed is not yet pop culture. It is yet to be accepted. Some support the lifestyle, but continue to shield their loved ones from it. Some condemn it outright, stating that the Bible - yes, "Dave Pelz's Putting Bible" - says it's wrong. There is no reality show. "Left Eye for the Right Guy" is only a pipe dream. However, our biggest struggle is in the fact that we want to love shopping, but we just can't. Lefties, take a trip with me. Think about the last time you shopped for equipment. You knew what you wanted, and you ventured forth with that schoolboy anticipation golfers get when we know we're going to get a new toy. Now, in retrospect, do you recall that being an enjoyable experience? Yeah, that's what I thought. The plight of the left-handed shopper is rather ridiculous. We have to sneak into the right-handed area to even look at most of the pro-line golf equipment. When we find something in which we are interested, we have no hope of actually hitting it and we are shooed out with a broom. In fact, if it's anything that has just come out in the last three months or so, it is pretty much a guarantee that the companies have not made the left-handers available yet. We are stuck settling for cold, stale equipment. We can't have the newest toys on the block. All the other kids laugh at us. They call us names. We only dream of bragging rights. If the equipment is available to the public, it will probably be out of stock. They don't usually even have demo lefties available, which means that, to actually buy most clubs, we have to learn to swing right-handed well enough to get the feel, or we have to simply take a multi-hundred-dollar leap of faith. Sometimes, even the cheapo beginner sets - if that's your pleasure - don't even come in lefty. But let's be proactive here. Let's stop whining and do something about it. There are reasons for this lack of availability. One big reason is the fact that it is immensely expensive to manufacture the equipment one needs to make golf clubs. With a right-handed club, manufacturers have no problem shelling out the dough to create these monstrosities because they know the return will be much bigger than the expenditures. But for left-handed clubs, they are skeptical on whether the money spent on making the equipment will be worth it, simply because they are unsure how many units they'll be able to move. But, pushing aside my hyperbolic way of examining our struggle, it is indeed getting better. Some companies are attempting to make more left-handed equipment available. Junior clubs seem to be almost splitting down the center between left and right-handed because more and more younger players are actually embracing the fact that they are left-handed rather than unnaturally teaching their bodies to swing on the other side of the ball. This is a good thing. The main reason why most companies produce so few left-handed clubs is because the market is simply weak. There are not that many of us out there. In the United States, I have seen estimates of left-handed golfers ranging anywhere from 4 to 10 percent. Club producers are businesses. They are in it to make money. That's America; that's capitalism. We love it, remember? They are going to cater to their strongest market: righties. If more and more lefties start emerging in the market, more and more clubs will become available. Our market will grow, and they will have no choice but to satisfy it. Let's attempt to be more like Canada. Yes, I just said that. Eighteen to 20 percent of Canadian golfers are left-handed, partly because of the fact that there are more hockey players than there are teeth in Canada, and hockey players have a knack for picking up a golf club left-handed after growing up on the ice. So what can Americans do about this? Obviously, we can't magically create more left-handed golfers, but we can let those that are naturally left-handed stay left-handed. If you or someone you know is lefty, let them be. Let them swing on the "wrong" side of the ball. Let their true golfing selves shine. They will be better players because of it. They will be doing what their bodies want them to do naturally. To parents, don't disown your son if he picks up a club and stands on the other side. If your daughter would rather hit off the back of your 5-iron than the front of your wedge, let her wear that flannel. The more lefties emerge, the stronger the market will become. We will get our equipment after all. We will become true consumers. Someday, just maybe, a lefty will walk out of a retail store with a smile on his face. He got what he needed -- and wanted. He walked in the store, picked out what he desired, hit it in the cage, decided he was going to buy it, and -- here's the kicker -- they actually had it in stock with the specs he needed. This may seem mundane to you righties, but it brings a tear to my eye as a lefty. He was happy to finally be gaily accepted into the world of the golfing consumer, even though he still can't tell his dad he swings lefty. For now, check out walg.org. It is the Web site for the World Association of Lefthanded Golfers or nalg.org, which is for the U.S. National Association of Left-Handed Golfers. Both have links to everything lefty. For the first left-handed instructional book written since Bob Charles published his in the 1960s, check out Steve Anderson's "On the Other Hand." Not only are we S.O.L. on equipment, it appears course designers have it in for us too. "The only thing that I can think of where we would favor the right-handed players -- is on two things: One on safety issues, we give more room on the right side because most golfers are right-handed and most of them slice the ball, so we give more room on the right-hand side to homes and other adjacent areas. The other thing is when we construct bailout areas on holes, we do favor the right-handed golfers more than the left-handers because they are of the high percentage, and so that those bailout areas may tend to be in areas where those right-handed slicers would hit the ball," said Gary Panks, author of Grayhawk Golf Club in Scottsdale, Ariz and Legacy Golf Club in Phoenix, among many others. But Panks is not the only hater. Clyde Johnston, designer of Ocean Harbour Golf Links in Calabash, S.C. and Cherry Blossom Golf and Country Club in Georgetown, Ky., feels the same way. "Most golfers are right-handed and most golfers slice the ball," said Johnston, who was elected president of the American Society of Golf Course Architects in May 2003. "It's virtually impossible to make a golf course fair for all golfers. 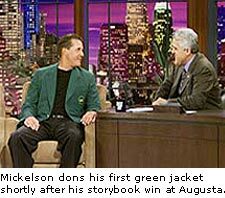 By and large, a left-handed golfer is a minority in the game, and they do get some consideration, but it's not major." I run a business which specialises in looking after left handed golfers, we get many customers that actually are right handed but play left, is it true there is a massive percentage of lefties in Canada? Perhaps I have to move there and set up? or subsidise the delivery a bit? Hi, my son has been learning golf for the past four months (he's just turned 10), and is a lefty. However, on the first day of coaching, during the assessment, I was told he can play right-handed. After reading your article, I started wondering whether I should have insisted that they check my boy's left-handed swing. Will it affect his game later and thus make him dislike golf? Or do leftys continue feeling comfortable playing a righthanded game? as well as some other things as a child. My writing is terrible to this day. ago. I had to have my set custom made. Now you can lefties pretty much anywhere. I am a born left-handed female.But,mum did not like it because,she thought,that it was not right.So,she used to force me to use my right hand to do written homework,after school.This did not work out well.Later,became a school teacher.Then,it became difficult to write with my left hand.So I started using my right hand to write on the blackboard but left hand to write in a book.What do you think about me?